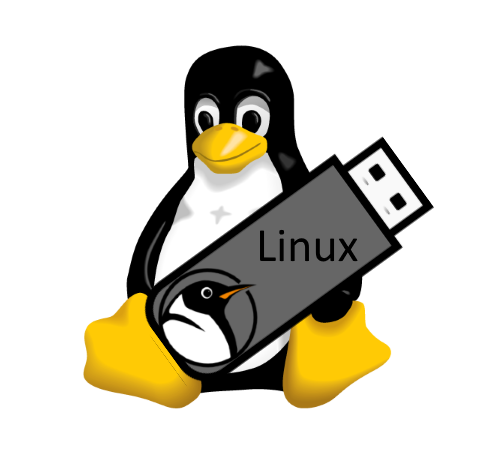 In this tutorial we will create a Linux bootable USB drive in Linux via command line with two methods, in the first method we will use the dd command, a byte by byte copying tool available on Unix-like operating systems. In the second method, we will create it manually. Root permission is required. First, identify the USB drive, in my example the device is /dev/sdx (Kingston DT microDuo 3.0 16G). Warning: All the data on the USB drive will be destroyed without warning! Make sure you selected the correct drive or you will destroy a wrong disk! The dd command will create an exact copy of the ISO file, the content will be copied byte by byte onto the USB drive. The file must be an ISOHybrid image and obviously must be smaller than the USB drive’s capacity. The big advantage of using this method is that it’s fast and easy, you don’t need to worry about partitioning, formatting and installing the bootloader, but there are disadvantages too. With this method you won’t be able to use the entire capacity of the USB drive and operating systems like Microsoft Windows or macOS will not recognize it. The third disadvantage is that you cannot add or modify files even if you manage to access the content, because you won’t have enough free space or the file system is read only (see ISO9660). Most of the Linux distributions uses ISOHybrid images while Unix BSD operating systems offers you separate image files (FreeBSD *memstick.img or OpenBSD install*.fs). 1. Check if the file is an ISOHybrid image, it must contain an MBR while the ISO9660 doesn’t. You can use the file command or hexdump the first 512 bytes. a.) As you see the file command does not detect the MBR or hexdump shows just zeros, if you write this image it will not boot, it’s an ISO9660 image. b.) The file command detected the MBR, this is what we need to use the dd command, it’s an ISOHybrid image. 2. Write the ISOHybrid image to the USB drive. All data on /dev/sdx will be destroyed! 1. Delete partitions by clearing the Master Boot Record, the following command will write 0x00 to the first 512 bytes. All data on /dev/sdx will be destroyed! 2. Create one big partition with boot flag on. 3. Format the created partition /dev/sdx1 as FAT32 with the label “LINUX”. mkfs.vfat -F32 /dev/sdx1 -n "LINUX"
4. Mount the Linux ISO image for this example we will use KNOPPIX. 5. Search for isolinux.bin and check the version, download the same syslinux version and extract the archive. 6. Write the bootstrap code (mbr.bin) to the MBR of /dev/sdx. In syslinux version 6 the file path is bios/mbr/mbr.bin while in version 4 and 5 is mbr/mbr.bin. 7. Install syslinux, this will alter the boot sector and copy ldlinux.sys into the root directory. In syslinux version 6 the file path is bios/linux/syslinux while in version 4 and 5 is linux/syslinux. 8. Mount the USB drive and create syslinux.cfg. 9. Copy the Linux installation files to the USB drive, it might take a few minutes. 10. Unmount the USB drive. Don’t skip this step! Is needed to complete all pending writes. It should work on most of Linux distros, but there are exceptions. Fedora and CentOS will mount the file system by LABEL, for example in CentOS 7 the LABEL must be CentOS\x207\x20x86_64. Bad for us because FAT32 supports a maximum of 11 characters, you must change the LABEL in isolinux.cfg and grub.cfg in multiple places.